Japanese law firm Nishimura & Asahi advised Nippon Life Insurance Company on its agreement with Deutsche Bank and Deutsche Bank’s global asset management subsidiary, DWS Group GmbH & Co, acquire a 5% stake in DWS. DWS, with a presence in 40 countries, is planning an IPO in which Nippon Life will participate. Nippon Life will enhance its investment capabilities and asset management business further through its partnership with Deutsche Bank and DWS. The Nishimura team advising Nippon Life was led by partners Tatsuya Tanigawa, Tatsuya Nakayama and Shingo Yamada. Shearman & Sterling announced that Kenneth Ching has joined its finance practice as counsel in Hong Kong to strengthen its Asia team. Ching has experience advising banks, credit funds, sponsors and corporate borrowers on debt financing transactions including acquisition and leveraged financing, real estate financing, structured financing, and restructuring. 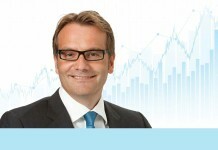 He also has expertise in outbound acquisitions and leveraged financing into Europe and the US. Inflexion announced the completion of its buyout of Chambers and Partners, the global provider of legal rankings. 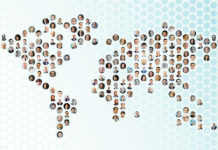 Founded in 1990, Chambers ranks over 80,000 lawyers and law firms by practice area in almost 200 jurisdictions. Following the investment, Inflexion will partner with management to continue Chambers’ global expansion, strengthen its digital presence and launch new products. ZICO Insights Law advised Huan Hsin Holdings, a Singapore-listed telecoms and electronics manufacturer, on its proposed acquisition of 99.99% of the equity interest in Huangshan Zhongtian Weiliang Mining for an aggregate consideration of S$1.06 billion (US$795 million) by way of reverse takeover. ZICO played an essential role in a successful 11th-hour application to the exchange, informing it of the company’s plans to carry out the proposed acquisition and culminating in the exchange granting the company a conditional extension of time to satisfy Rule 1314’s requirements. The ZICO team was led by Yap Lian Seng and Qiu Yang. Withers has expanded its corporate practice in Hong Kong with the hire of Mike Suen, who joined as a partner on 26 February. 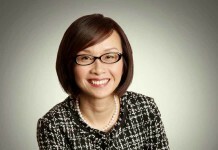 Suen, who was previously with DLA Piper for more than 10 years, has more than 17 years of experience in corporate finance. His practice focuses on IPOs on the main and growth enterprise market Boards of the Hong Kong stock exchange, including the listing of real estate investment trusts (REITs). Ashurst announced the appointment of Frank Bi as a partner in its corporate practice in Hong Kong. The hire reflects the firm’s continued focus on Greater China coverage, and is the fourth partner hire in Ashurst’s Hong Kong office in the past three months. Bi joins from Slaughter and May, and specializes in equity capital markets, M&A and Hong Kong listing compliance work. Former Baker McKenzie and Deloitte partner William Marshall has set up his own boutique law firm in Hong Kong. William Marshall & Co will focus on international trade regulatory and related supply chain commercial matters. Ashurst has added two new partners, Ratha Nabanidham and Daniel Yang. Nabanidham joins in Brisbane from Minter Ellison and specializes in M&A, infrastructure and major and government transactions. Yang joins the Sydney office from Colin Biggers & Paisley, where he was co-head of its China practice. Henry Cheng recently joined DLA Piper as a corporate partner in the firm’s Hong Kong office. Cheng has more than 12 years of experience advising on IPOs, corporate restructuring and mergers and acquisitions. He moved from the Hong Kong office of Kirkland & Ellis, where he advised issuers, book runners, lead managers and global sponsors on high-profile IPOs. Linklaters announced the appointment of Andrew Chung as partner in the firm’s dispute resolution practice. Chung joins from Goldman Sachs, where he was managing director for disputes and regulatory matters across Asia-Pacific. He will join the firm’s Hong Kong office in August. The Kuala Lumpur Regional Centre for Arbitration (KLRCA) officially became the Asian International Arbitration Centre (AIAC) as the gazetted Malaysian Arbitration (Amendment) Act 2018 recently came into operation. The name change is part of a larger rebranding for the centre, which aims to further strengthen its regional footprint and presence globally. 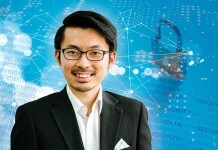 Withers KhattarWong represented Southeast Asian on-demand transportation and mobile payments platform, Grab, in its pilot project GrabCycle, which is an app that unifies four different mobility partners into a single app. The Withers KhattarWong team was co-led by Singapore-based corporate partners Farhana Siddiqui and Leong Chuo Ming, with the assistance of legal associate Chow Su-rin, represented Grab in setting the template for its partnership agreement with the other mobility partners. 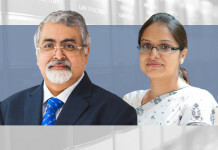 Zaid Ibrahim & Co (a member of ZICO Law) hired Alvin Julian and Jeyakuhan S K Jeyasingam to the firm’s Kuala Lumpur office as partners in the litigation and dispute resolution practice. 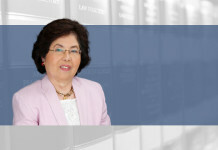 Julian brings more than 25 years of experience as a litigator and has appeared before all levels of court and alternative dispute resolution forum in Malaysia. 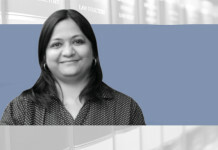 Jeyasingam has more than 21 years of experience in commercial litigation services for disputes in stratified and landed property concerning common property, facility management, real estate acquisition, sales and leasing sectors. 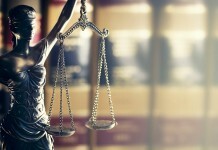 Japanese law firm Nishimura & Asahi has advised JXTG Nippon Oil & Energy Corporation (JXTG Energy) on its agreement with FUJIFILM Corporation to sell all of the issued and outstanding shares of JXTG group companies, Irvine Scientific Sales Company, and IS Japan (collectively “Irvine Scientific Group”), for about US$800 million. Irvine Scientific Group engages in R&D, manufacturing, sales and support of cell culture material and IVF reagents. The Nishimura & Asahi team advising JXTG Energy was led by partners Hirokatsu Takahashi, Jiro Abe and Shingo Yamada. On 13 March, the Chinese government released plans to amalgamate the three agencies currently responsible for antitrust enforcement into a single department. On 17 March 2018, the National People’s Congress approved the plans. The Antimonopoly Bureau of the Ministry of Commerce, the Price Supervisions and Antimonopoly Bureau of the National Development and Reform Commission, and the Anti-unfair Competition Bureau of the State Administration of Industry and Commerce will merge and be housed within the national administration for market supervision, a newly created administration within the State Council. Paul Hastings announced that the firm advised Fosun Group, China’s largest private-owned conglomerate, in its US$40 million acquisition of a controlling 50.87% stake and a follow-up capital increase in Vienna-listed luxury textiles maker and lingerie brand Wolford. This will trigger a mandatory takeover offer for the whole business. The multi-jurisdictional Paul Hastings team was led by Shanghai-based partner Jia Yan and Frankfurt-based partner Christopher Wolff, with support from associate Stancy Qian. ZICO Law advised that on 1 March 2018, an Agreement on the Validation of European Patents between the government of Cambodia and the European Patent Organization took effect in Cambodia. The agreement enables users of the European patent system to validate European patent applications in Cambodia, and relates only to applications made on or after 1 March 2018.